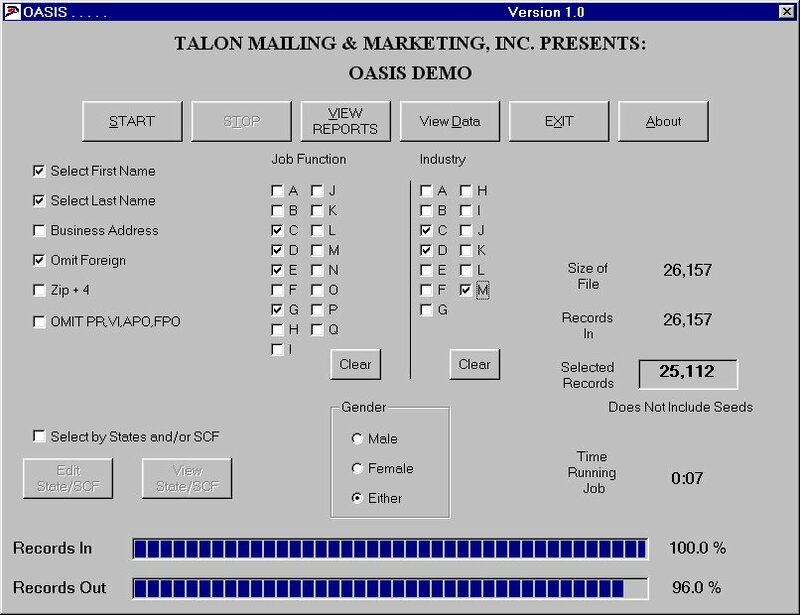 Welcome to the Talon Mailing & Marketing September 2013 Newsletter. Knowledge is power. When it comes to marketing, knowledge is not only power, but also money. It’s an increasingly digital world, but there are many businesses that continue to find value in the use of direct mail campaigns. Companies employing direct mail campaigns often send out tens of thousands of mailers or more, resulting in what they hope is a high volume of leads or sales. But therein lies the root of a problem faced by many marketers: they hope their campaign results in a high volume of leads, but they’re not sure if their efforts are actually resulting in anything at all. After spending a chunk of their marketing budget on thousands of mailers, companies should be able to track the actual volume, quality, and conversion rates associated with the resulting leads. But how? Most mailers have a phone number as a call to action, but in order to track the actual volume of calls that resulted from the mailer itself, that phone number needs to be unique and trackable. With a unique call tracking number, each and every phone lead that comes in can be attributed to that mailer, giving you a more comprehensive understanding of your campaign ROI. Businesses may spend a significant amount on direct mail advertising and assume that most of the phone calls they get for a few weeks after are from that effort. But what if they’re not? Using call tracking numbers is especially important for marketing agencies and lead gen firms who do mailings for clients. You need to be able to demonstrate conclusively that your direct mail is generating calls and revenue to their business. Inserting call tracking numbers from a voice-based marketing automation solution in your mailers and other marketing assets enable you to tell which calls came from which source, so you know what’s working and what isn’t. The ability to wholly understanding your ROI means more than just spending less on efforts that don’t generate as many leads: it means being able to spend more on what has been proven to work. If you spend a significant amount of your budget on direct mailers, and your call tracking data tells you that you had a highly favorable conversion rate, what does that mean for your marketing? The best part about having tangible evidence about your marketing success is that you have the knowledge to do more of what works; and, once you’ve established that direct mail marketing is indeed a worthy investment for your marketing team, you might even be moved to dig in a little deeper. 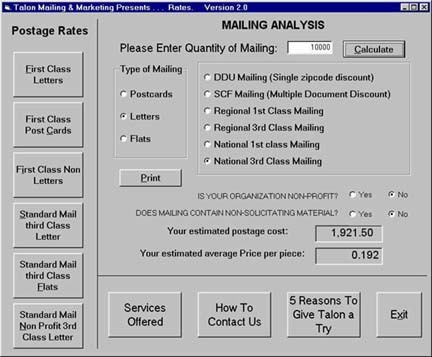 For example, unique call tracking numbers make it possible to perform A/B tests with direct mail. Perhaps you have two different designs, or one postcard that is double-sided and one that is single-sided, or several different creative themes your team believes have potential. By inserting unique call tracking numbers in each variation of your mailer, you have the ability to track which generated the most leads and revenue. Someone once said that knowledge is power. When it comes to marketing, knowledge is not only power, but also money. 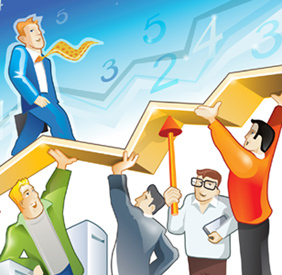 Once you demonstrate that direct mail marketing is indeed a worthwhile investment, let the success start rolling in. Olivia Cole is a Senior Marketing Specialist at Ifbyphone. In the past ten years she has worked in multiple industries, writing articles, white papers, eBooks, blog posts, and educational material on a wide range of topics. Next to the ever-changing landscape of digital marketing stands direct mail. A recent study found that the response rate for direct mail to existing customers averages 3.4% compared to 0.12% for email. Social media and web marketing may have their names in lights at the present, causing the focus to shift to digital marketing. However, that doesn't make it the best option for every audience. For example, only 45 percent of seniors have Internet service. Furthermore, Market Scan found that "the figure for available emails is around 20 percent of postal addresses, meaning that by avoiding direct mail you could be missing 80 percent of your target market." And people who do use email regularly have become savvier at blocking out sales messages with advanced filters. If in the event, email messages are actually read, they are quickly forgotten or buried by new messages. People also abandon email accounts and create new ones about once a year, so even solid leads expire quickly. Next to the ever-changing landscape of digital marketing stands direct mail, a reliable method that uses time tested practices to generate substantial results. A study done by the Direct Marketing Association found that the response rate for direct mail to an existing customer averages 3.4 percent, compared to 0.12 percent for email. When balanced with the right creative and optimal data, direct mail can deliver more than just a meaningful piece of mail; it can boomerang a powerful return on investment. 1) Offer a great coupon or promotion. High quality direct mail is not only packed with relevant information, it also entices readers with an irresistible deal. By adding value with a discount, bonus gift, or free trial, the mail focuses on the reader and makes them want to say yes. By using direct marketing campaigns, that have stood the test of time, companies have a better chance of making a good impression on people. Since fewer companies are leveraging the power of good old-fashioned snail mail, you company has the ability to entice customers with useful coupons. This tangible, touchable value adds weight to any offer and makes a bigger impact than some digital components can. 2) Be targeted. Instead of buying lumps of leads, build your own direct mail campaign to get better results. Doing a random blast won't get you anywhere. There are plenty of expert lists. Rather than doing a random blast of data, find a data base that helps to filter the results based off your specific needs. The more refined the search, the better. "Pray and spray" marketing will never be able to compete with a thoughtfully planned campaign designed to target a specific demographic with information that interests them. 3) Make it personal. Contrary to popular belief, direct mail doesn't have to be a boring! By sending impersonal cards or letters, you can be assured that your information is destined for the trash can. Thanks to sophisticated marketing software and digital printing, savvy marketers are personalizing messages and engaging prospective customers in incredible ways. Envelopes that catch the eye and engage the reader with customized teaser copy, highly customized letters that include handwritten notes, and vivid brochures/inserts that showcase further details capture and engage readers. 4) Remember quality control. Once your materials get into the hands of your consumers, don't lose them with poorly written content. Make sure everything is 100% correct. Proof read for grammar, spelling, and typos. Also, avoid sounding like a broken record or a used car salesman, but instead you should be adding value and generating excitement. 5) Integrate Your Strategy. Don't miss this opportunity to leverage your messaging and creative with other marketing initiatives; this helps to ensure brand cohesion. Consumers might need to hear your message 5 times before they act on it. The must brand live in all aspects of the design: from the logo to the graphics to the font and color choice. 6) Don't forget follow up. Turning people into loyal customers is going to take more than one mailing; it is going to be a continual process. There is a fine line between smart marketing and pestering your target demographic. The direct mail materials should have a call to action for people to connect with you online as well. By driving people to your website, blog, or social media channels, they are asking to be kept in the loop on new information. This will help to keep them engaged long after the mail delivery. Just because direct mail isn't the newest technique in the book doesn't mean it is not relevant. It can be a fantastic way to reach audiences that email never can, including seniors, email users who apply filters, and people who appreciate getting real mail. Online marketing has become the new and shiny toy, but don't forget direct mail is still a reliable way to deliver compelling messages on an individual level. Together, direct mail and online marketing offers the perfect way to turn people into loyal customers. Do you believe direct mail doesn't work? Google, knows mailings are vital to a successful marketing strategy. 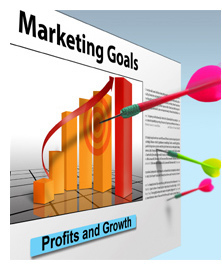 Everyone involved with marketing knows that Google is the largest search engine in the world. Their Google AdWords advertising has long been called the killer of phone books, direct mail and newspapers. But did you know that Google relies on Direct Mail as part of their marketing mix? It’s not uncommon to receive a postcard or letter from Google in your traditional mailbox. This might be urging you to verify your Google Local listing or it might be offering you $50 of free Google advertising. These messages are coming to your mailbox, not your inbox. Why? For one thing, even the mighty Google can’t always get the email addresses it needs. Sure, you can guess and you can scrape emails off the Internet, but that’s technically a violation of the federal CAN-SPAM laws. Plus, it’s impossible to email geo-target a large area. With direct mail, you can easily send to every household or small business in a zip code, town or even a whole state. Because you can cast a net that’s both wider and more specific at the same time, you’re going to have a much better response when it comes to bulk mailings. Second, Google knows that emails wind up in the spam folder. Even if you take the time to craft a great email, there’s a huge chance it won’t be seen at all. But everyone goes through their mail carefully. They know that not only is there important stuff like bills or checks there—to say nothing of valuable coupons. Mail gets more attention and longer looks than an email which can be deleted with the click of a button. Finally, Google knows that it takes multiple methods of marketing to succeed. Putting all your eggs in the Internet basket is shortsighted. You need to be omnipresent in all areas of your customers’ lives. Yes, that means the Internet, but it also means direct mail and billboards and TV commercials, all of which Google uses to great effect. One kind of marketing alone just isn’t going to cut it. So if even the Internet giants think they need direct mail marketing, why don’t you? It’s time to give it a try. Contact Talon and we’ll help you understand how all the pieces of your marketing fit together, and how direct mail can cut through the clutter and help improve your marketing results. Tuesday September 24th, 2013. Yankees vs. Rays 7:05 PM. marketingland.com - Provides internet marketing news and analysis, along with columns covering practical tips and strategies to succeed with online marketing. squarespace.com - The easiest way for anyone to create an exceptional website, galleries, blogs, e-commerce, domains, hosting, analytics, and 24/7 support. rally.org - Makes it easy for individuals, groups, social causes and non-profits to fundraise online with no minimum donation requirements. quip.com - Beautiful documents on any device. Quip combines documents with messages so you can work faster, on the web or on the go. You can also share folders with coworkers so your documents can be easily accessed by everyone, anywhere — even offline. roon.io - The easiest way to blog. It's free, beautiful & cross-platform. Web; Mac; iOS. lifehacker.com - Daily weblog on software and personal productivity recommends downloads, web sites and shortcuts that help you work smarter and save time. partycloud.fm - The best site on the web to DJ online for free! Powered by the iWebDJ mixer and SoundCloud music.